At Woods Rug Laundry we know that your rug has sentimental value. Every rug is a piece of art. And we understand that over time, your rug needs specialised care to ensure its beauty lasts for generations to come. However, restoring a rug requires a high degree of skill and experience. When carried out by unqualified repairers, you can actually cause more damage to your precious antique. Early detection is paramount to preventing further damage to your rugs and preserving the value of your antique. What Does Rug Restoration Involve? Some stains can be removed successful if the rug is brought to a professional cleaner as soon as possible. The longer you leave the stain to sit, the less likely it is that we can remove it. All too often clients wait weeks, months – even years! – before bringing in a stained rug for us to fix. A stain can set and become permanent within a few days. It is important to blot the stain to remove excess liquid or matter and then bring your rug in, or book it in for pick up, immediately. Should I Use Home Products on My Rug? Never try to remove a stain using home products or remedies! Baking soda, bleach, vinegar, and off the shelf products can make the stain worse. Further, they can cause more damage to your rug, especially in the case of bleach. Some products and solutions can also change the chemical makeup of a stain, making it harder – or impossible – to remove, even if you get it to us quickly. Your best option is to immediately get your rug to a professional cleaner, like Woods Rug Laundry. Professional cleaners have proprietary methods, environmentally and fibre safe solutions, and machines purposefully made for rug cleaning. They are your best hope for removing a stain for your rug during rug restoration. Can You Clean Up Pet Stains? Pet stains and odours are often the hardest part of rug restoration. Pet urine contains a number of chemicals, including ammonia, that can make removing stains from rugs almost impossible. If treated quickly, the odour can generally be removed but no professional rug cleaner can ever guarantee to remove a pet stain from a rug. Further, pet food contains a number of food dyes and colouring chemicals. As a result, pet stains can irreversibly damage your rug. Ammonia and food dye could permanently mark your rug, even if you have your rug cleaned immediately. However, cleaning your rug with home cleaners and home remedies can make it worse, causing the stain to spread and damage the fibres. It is best to ensure your pets are properly house trained and monitored when inside. If your pet looks like they need to go outside, let them outside immediately in order to prevent accidental stains on your rugs. How Does Rug Restoration Work? Rug restoration experts inspect your rug and discuss any concerns with you before beginning the process. This ensures you understand exactly what can be achieved. Your rug is professionally cleaned by expert cleaners to remove dirt trapped deep in the pile, stains and odours are treated as best as possible, and the rug is properly dried. The rug is then groomed and the fringe is brushed before restoration begins. Expert restorers make the agreed upon repairs and the rug is inspected. If required, the rug may be washed again to meet our very high standards. Finally, the rug is carefully packaged and delivered back to you. The goal of rug restoration is to ensure the rug is structurally secure, as well as renew the original appears. This prevents further damage to the rug, while improving the appearance. Can All Rugs Be Restored? Unfortunately, not all rugs can be restored. In some cases, the rug might be too damaged to be restored. This is why professional rug cleaners will always appraise a rug before attempting to repair or clean it. Further, many rugs are made from nylon and rayon, plastic fibres that can be difficult to restore. As a result, due to their cheap nature, it is often less expensive to replace a rug than repair it, especially in the case of a nylon rug. While it can be heartbreaking to replace a prized family heirloom, or a favourite rug, sometimes a rug simply cannot be cleaned or repaired enough to make it useable again. 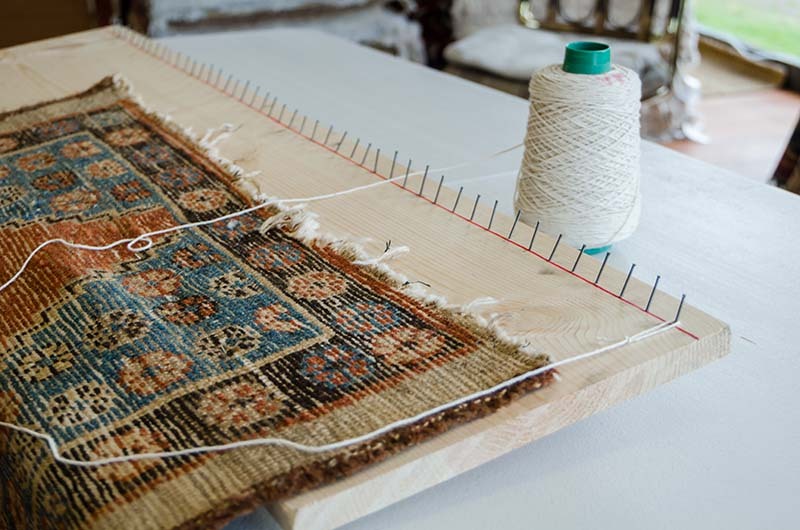 Part of the restoration and repair may involve repairing or adding a fringe to your rug. A restorer may add a prefabricated fringe to a rug edge in order to protect it, sewing it manually or using a commercial sewing machine. 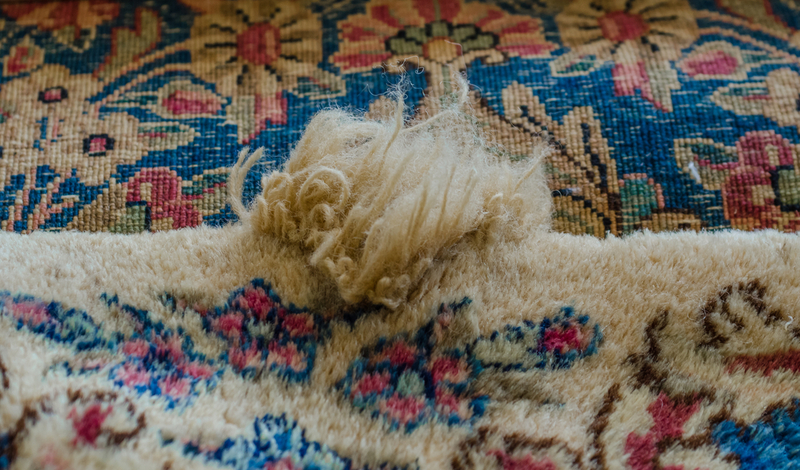 Or your restoration professional may repair a rug fringe by manually reweaving or retying part of the rug base in order to restore broken fringe and recreate the original look of the rug. Rugs that are placed in high traffic areas get damaged more easily. They also require more cleaning and experience more daily wear and tear. As a result, if you keep a rug in a high traffic area, it is important to have it cleaned at least once a year. And it is important to have any damage repaired as soon as you see it. The best option, however, would be to move the rug out of the high traffic area and replace it with a cheaper rug you are happy to throw out and replace, rather than continually spend money on costly repairs. 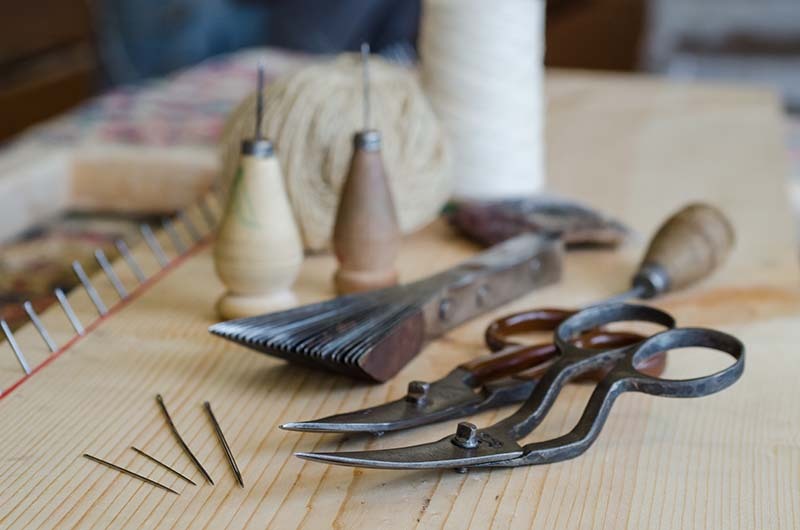 If you would like to find out more about our rug restoration and repair services, contact us today for more information!